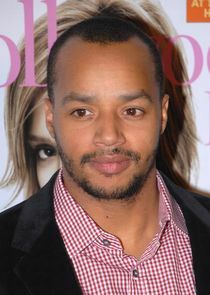 A comedy series that stars Donald Faison, Wayne Knight, David Alan Basche, Kelly Stables, and Kristen Johnston. It follows three divorce guys, Phil, Haskell, Stuart and a divorce attorney, Holly. The latter introduces Stuart to the other two to move in and live with them in the same apartment. The guys got reservations when he moved in buy Holly is across the hall if things go downhill.